Ecommerce fulfillment encompasses the systems and processes that focus on processing an order, and delivering it to the end consumer. There are multiple complex steps involved in the process, and supply chain management plays a significant role in ecommerce fulfilment. Everything from warehouse management, order-supply logistics, packaging, shipping and order communication need to be managed throughout the order life cycle. While smaller businesses may be satisfied with the current level of organizational purview, larger organizations may have to increase staff, technological innovations and project management strategies. 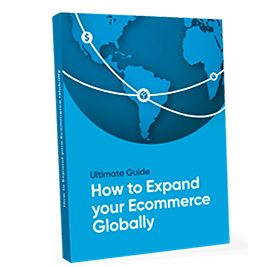 Growing 15-20% year-over-year, the global ecommerce industry has room to expand further, and brands need to take advantage of all available strategies that can help them overcome logistical or fulfilment related challenges. Automation and process fulfilment through third-party outsourcing greatly reduces cost, which allows you to explore further opportunities for expansion and marketing. Thus, fulfilling orders manually may make sense when you’re processing 50-100 orders a day, but when your brand scales up you need to scale as well. That’s why you need these strategies to ensure smarter e-commerce fulfilment and balance the tricky time and money continuum. To perform all these actions seamlessly requires a software that’s dynamic, flexible and has all the right tools to allow departmental heads to acquire real time data. If you are shipping locally-produced apparel across the world, then calculating shipping, weather conditions, shipping delays, customs, etc. should be automatically calculated and added to the final cost of the product. This process saves so much time and money, when working with hundreds of orders daily, and it adds to the existing data-mining activities that may be occurring in your organization. You can analyze, predict and create new orders based on the software that’s tracking existing orders in your company. You may be thinking about “complete automation”, which might not be the right step when it comes to ecommerce fulfilment. You might need to hire the right staff, including virtual assistants, fulfilment officers, domain authorities, etc. that may help you complete the order fulfilment process. Hiring, training and developing your staff requires upfront investment that may seem like an added cost, however these added resources are the intermediaries that help run things smoothly across the order life-cycle. You may have an emergency in one corner of the world, because of which you may need to ship twice the order quantity overnight. An automated software may not be able to catch that in time, and thus a “lean staff” will be more equipped to handle that problem with a hands-on approach. They can also aid in avoiding bottlenecks, order mirroring and predict demand fluctuations across regional lifecycles. Drop-shipping, direct-to-consumer, or outsourced. Depending on your business model, you need to select a fulfilment platform that best suits your needs. If you have a desire to scale up within the next few years, then outsourcing makes more sense. 3PL (Third party logistics) companies can help you fulfil your order seamlessly as they have proven expertise in the domain. You may be an expert in engineering, design or marketing, but hiring an expert in shipping and fulfilment, will save you time and money. Thus, selecting the right shipping model is critical to saving time and money, when it comes to fulfilment. You need to analyze multiple vendors before selecting the best one for your brand. Shopify consistently partners with 3PL leaders to ensure that their customers have the best-in-market solutions for shipping and fulfilment. If you want to create a sustainable business, ecommerce fulfilment comes down to managing costs and ROI. Do you have the best team to create value for your customers? Do you need to enhance your ROI on fulfilment and supply-chain? Have you considered the benefits of an enhanced investment funnel? All these and many more questions arise when you start to think about fulfilment from a purely monetary stand-point. You can create multi-fold value if you manage your costs effectively, and ensure a balance of quality and investment. You can provide logistical support to consumers in the form of “order-messaging”, but if it provides little returns for your brand then that investment may not be needed. However, if you find out that adding a “thank you” card increases repeat-visits by 30%, then that investment is a better one to make. Order fulfilment is all about managing costs, and the brand that can please its customers in the least investment necessary, wins in the end! Does it make more sense to ship collectively or in batches across certain terrains and states? Will a customer have more leeway in shipping time if the order size is larger or smaller? You need to start innovating, if you want to enhance your fulfilment strategy. With the help of the data available, you can create matrices and charts that are unique to your business, which should help in creating key insights that can drive shipping costs down. if a customer has ordered more than 5 times in the last year, they may be satisfied with their fulfilment even if it’s delayed by a few days. Or if it’s a first-time customer, they may instantly become a repeat customer if their product arrives a few days early. Creating investments in shipping innovation will help you understand the customer even more, and will allow for maximum growth in a competitive industry. “Returns” play an additional factor in fulfilment and add to the cost of goods that are presented on the e-commerce platform. You can create multiple lines of fulfilment centers but if the customer asks for a return, then the added routing, shipping, and repackaging of a good can create costs that aren’t needed in a lean fulfilment model. This could lead to back-tracking, delays, shipment confusion and refund delays. All of this can further decrease a brand’s perceived value as customers may take to social media and post about their bad experience. Thus, stocking the appropriate amount, product and range of delivery options is key here. If you can not deliver a certain product at a certain quality, then you can opt to not do so as a corporate policy. Alternatively, if you don’t have stock of a product then you should update the website or inform the consumer early on, as it may create problems in the future. This is where you can save the most amount of time and money, but simply re-stocking better quality options or ensuring 6-sigma or lean quality control operations. You may be wondering why expanding payment options can save you time and money on order fulfilment, but the fact is that it also helps in growing your brand equity. When you expand the payment options available to a customer, they perceive your website to be more reliable and customer-friendly. Therefore, if your competition only accepts a limited number of payment modes, then you instantly become the right choice for your consumer! With these kinds of brand loyalists, even if you delay shipping by a few days, they don’t mind. It’s because of this, that you can expand fulfillment to various corners of the world and save time and money via “economies of scale”. If you are shipping 25 orders a day to South America, but with enhanced payment options you are now shipping 250 orders daily then the cost of delivery (per order) drops significantly for that region. With the help of bulk-delivery and order-batching, you can create new areas of growth in untapped markets across the world. 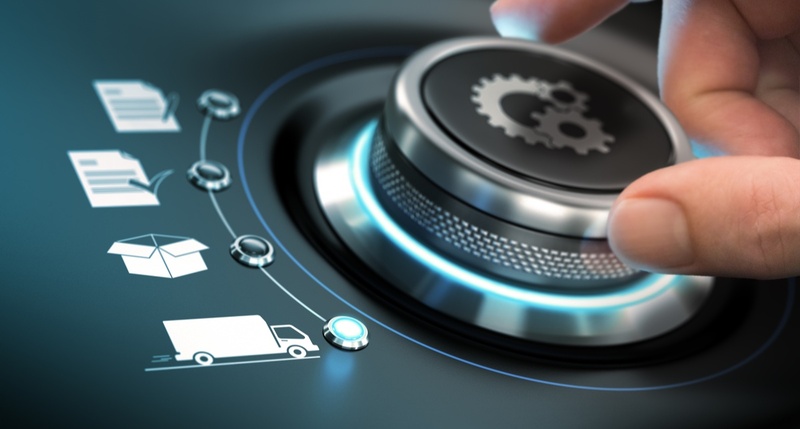 If your website can predict consumer demand, through AI and Machine learning, your shipment and fulfilment will be more ready and accessible during peak times. E.g. if a certain area’s shipping cost is 20% percent higher, a “chat-bot” may recommend the customer to re-order an older item, or place a secondary item to reduce costs. You can also automate VA, Call-center and other extended services so that you can fulfil orders on time and without any miscommunication. Zapoos.com consistently focuses on technology to enhance its portfolio of products, so that it can ship them on-time anywhere. They focus on the “wow-factor” and want to please every customer with on-time delivery, which has enhanced their overall packaging and delivery service. They’re able to do this with the help of AI, and a team of web experts that help in predicting, providing and promoting certain products. Those products can be batched together from other warehouses to lower overall costs. You may want to think about something similar when it comes to your organization’s fulfilment requirements, and focus on technology as a tool for growth.